Geberit brings luxury and practicality to this residential and public sector project. Geberit’s siphonic drainage solution, Pluvia, has been used on the roof of London’s new Design Museum (previously the Commonwealth Institute), allowing its unusual parabolic shape to remain intact, while providing exceptional water drainage. 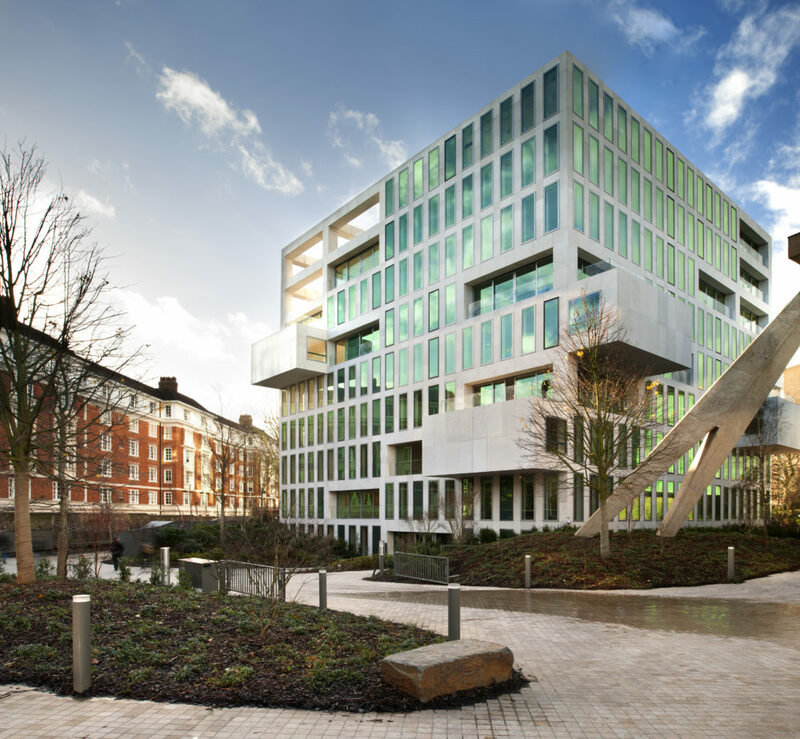 The Design Museum forms part of the Hollandgreen development, located off Kensington High Street, which is a mixed use residential and public sector project, incorporating 56 high-end apartments grouped around the museum. In addition to Geberit Pluvia the project also features Geberit Mapress piping, Geberit Silent-db20, a sound-deadening drainage solution, and luxury shower-toilets, Geberit AquaClean Sela. The Design Museum has been created within a Grade II listed building, so it was essential that the roof was treated with care, preventing the flooding that had occurred over the years due to under-sized pipework. To retain the roof’s unusual shape, piping could only be included in two existing internal raked columns. A siphonic solution was therefore ideal. Geberit Pluvia has a far greater drainage capacity and can cope with double the amount of rainwater discharge at half the pipe diameter – accommodating a rainfall intensity equivalent to a one in 1,500 year storm. The three new apartment buildings are built in the shape of stone cubes that respond to the geometry and grid of the museum and they include a secure basement car park as well as a spa featuring a pool, sauna and steam rooms. Throughout Geberit products were also specified extensively. To prevent noisy drainage, Geberit Silent-db20, with sound minimisation built-in, has been used throughout the apartments, considerably reducing the acoustic impact of water running through the pipes, helping to ensure residents aren’t disturbed. In communal spaces and in the basement and car parks, Geberit HDPE drainage pipe was installed. Around a dozen apartment buyers also opted for additional luxury by upgrading to Geberit AquaClean Sela shower toilets, as opposed to the bidets included in the other apartments. Cleaning with a gentle, airy water spray at body temperature, Geberit AquaClean Sela is simple to operate via the controls on the side of the WC or with a remote control. In this exciting development, Geberit has demonstrated the breadth and versatility of its building services and sanitary products, providing modern solutions that remain sympathetic to historic and architecturally challenging features while meeting the needs of 21st century customers that demand the very best in design and functionality.